March 2018 | MME group Inc.
Every entrepreneur faces a series of daily decisions that are crucial to achieve success. For startup entrepreneurs, endeavoring to finding the right contract manufacturer is one of the most impactful and – when thoroughly considered – the most beneficial. For established and growing businesses the decision is equally important. Hard lessons may have already been learned, or current partners may not be sufficiently agile to meeting demands. 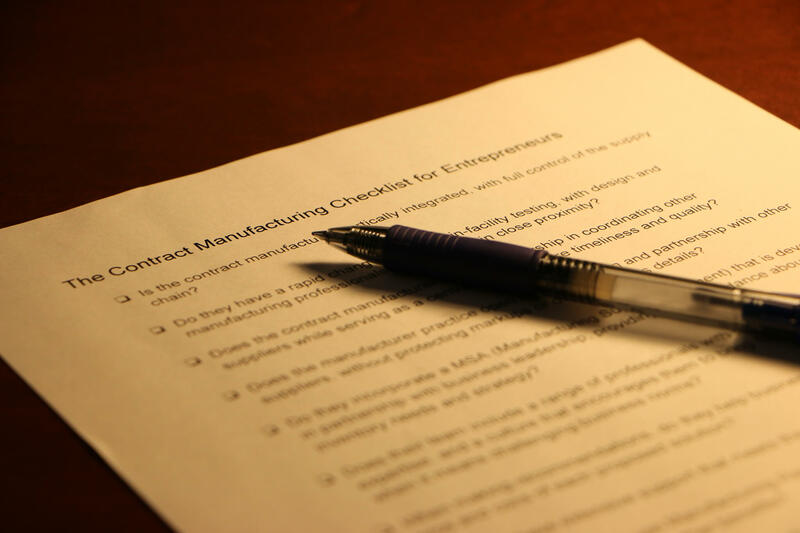 To help innovators understand how to approach this decision, we’ve compiled a checklist of the most immediate and important questions that every business – whether newly created or firmly established – should ask to ensure they get the most out of their contract manufacturing partnership. Is the contract manufacturer vertically integrated, with full control of the supply chain? Do they have a rapid change cycle and in-facility testing, with design and manufacturing professionals collaborating in close proximity? Does the contract manufacturer provide leadership in coordinating other suppliers while serving as a central hub to ensure timeliness and quality? Does the manufacturer practice open communication and partnership with other suppliers, without protecting markups or other business details? Do they incorporate a MSA (Manufacturing Supply Agreement) that is developed in partnership with business leadership, providing expert guidance about inventory needs and strategy? Does their team include a range of professionals with specialty areas of expertise, and a culture that encourages them to bring forward solutions – even when it means challenging business norms? When making recommendations, do they help business leaders understand the pros and cons of each proposed solution? Do they have extensive support that meets the needs of a fast-moving business? Do they effectively use Manufacturing Resource Planning (MRP) software for materials costing and other benefits? Do they serve entrepreneurs as their core mission, or have they carved out specific services in an attempt to partner with entrepreneurs? If there is one truism reflected in this checklist, it’s that partnership models are changing. Norms are being questioned. Entrepreneurs expect solutions from manufacturers, not just the ability to follow direction. Truth be told, at MME group Inc., we think today’s business leaders deserve nothing less.